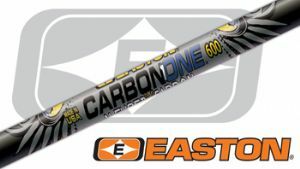 A popular all carbon shaft in a good range of spine sizes. Made up arrows include: Carbon One Shafts, EP Fletchings Easton G-Nocks and Easton Breakoff Points. Ideal for Target (Where permitted) & Field.